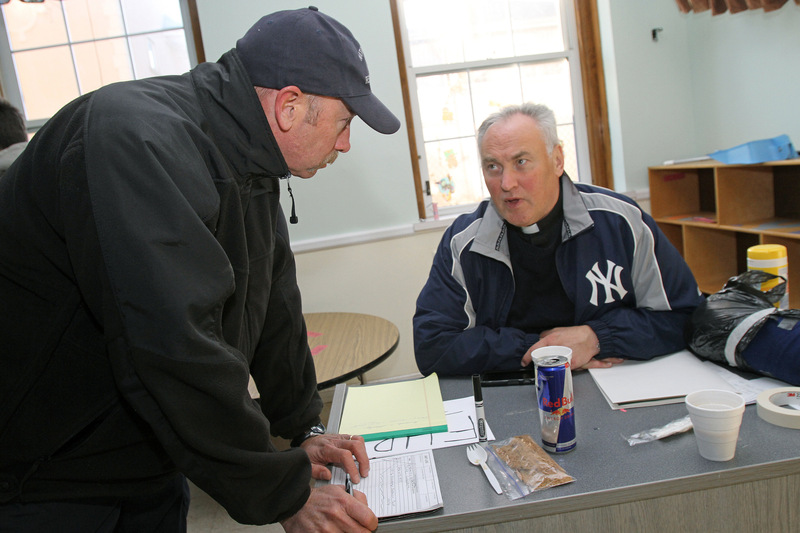 ISLAND PARK, N.Y. (CNS) — Sacred Heart Church in Island Park is in an area of the Diocese of Rockville Centre among the most devastated by Hurricane Sandy, but the pastor urged parishioners not to fret about the material goods they have lost. 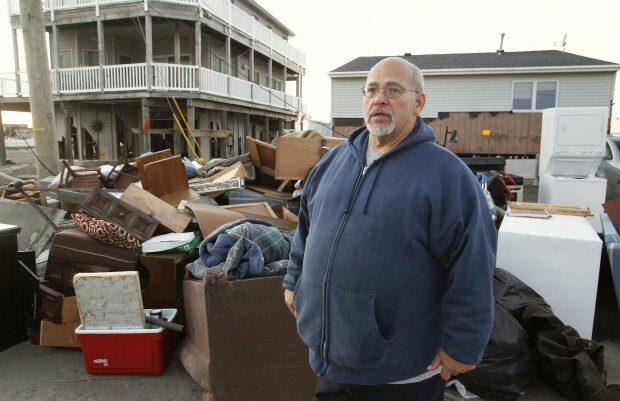 In the community of 10,000 people in the southwest corner of Nassau County, Long Island, 80 percent of the homes were flooded. The church, too, was flooded with about a foot of water, damaging the floor. Three feet of water was pumped out of the parish center, which is now being used for Masses. As of Nov. 4, Island Park was still without electricity and the village’s mayor, James Ruzicka, announced at the end of Sunday Mass that it would be at least another two weeks before power was restored. He shared a story about a stranger’s generosity. 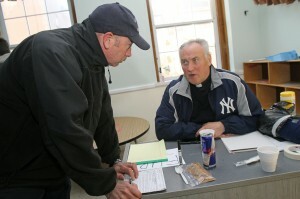 After the hurricane, a man in his 70s whom the priest did not know, drove up to the church and saw Msgr. Tutone outside. He was not wearing his clerical garb. The man asked him if he was the parish priest. After Msgr. Tutone said he was, the unidentified man handed him a bank envelope and told him to “rebuild your church” before driving off. When Msgr. Tutone later opened the envelope, he found $1,500 in cash inside. 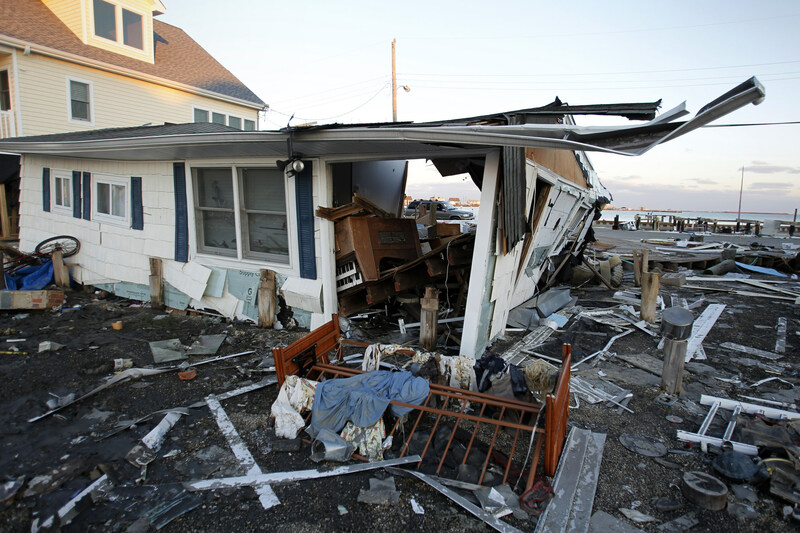 In Long Beach, an island just south of Island Park that faces the Atlantic Ocean, 35,000 residents also were devastated by the hurricane, left without electricity and a working waste disposal system. Portable toilets were spread throughout the city. St. Ignatius Martyr is a sturdy 88-year-old Lombard Romanesque brick church that sits a block from the ocean. The church survived the hurricane of 1938, the worst storm to hit Long Island until Sandy, but the super storm caused minimal damage to the church, though the rectory basement was flooded to the ceiling. 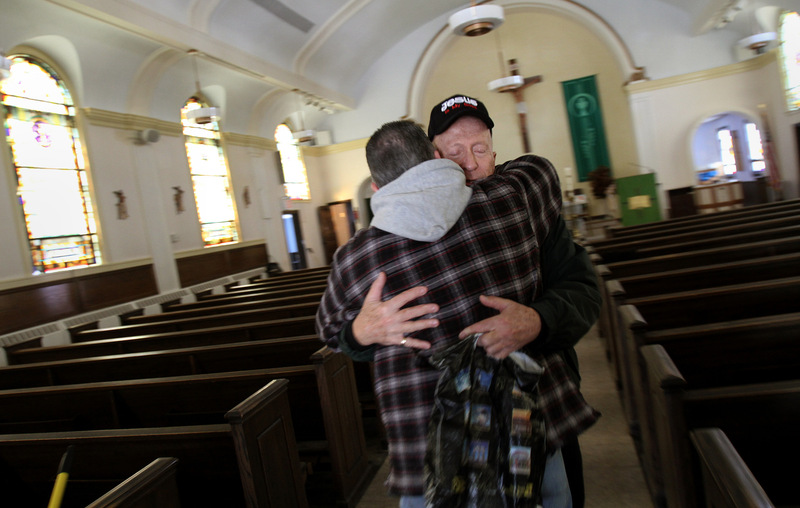 Nearly 200 people gathered in the cold, dark church for the 10 a.m. Sunday Mass Nov. 4, celebrated by Msgr. Donald Beckmann, pastor, wearing tennis shoes. A 5 p.m. Mass was celebrated the Saturday evening before; two other Sunday Masses were canceled. Chris and Dawn Hagen attended with their children, son Gerrin, 7, and Tara, 5. “It was a scary time, especially watching cars float up and down Broadway, watching the water getting higher and higher before it stopped,” he told CNS. The “three parishes” are St. Mary of the Isle and St. Ignatius Martyr in Long Beach and Our Lady of the Miraculous Medal, which is in the Point Lookout community on the island’s east end. Msgr. Beckmann has been sleeping at St. Agnes Cathedral rectory in Rockville Centre, a six-mile drive, due north of Long Beach. He has been returning to his parish every day, driving a Toyota Camry hybrid, which comes in handy at a time when gas is scarce. At St. Mary of the Isle Church, Bishop William F. Murphy of Rockville Centre addressed parishioners of St. Mary and St. Ignatius during Sunday Masses Nov. 4, celebrated in the parish auditorium next to the church, which was flooded. Tables with prepared meals, donated clothing and cleaning supplies were located near the folding chairs set up for Mass. Bishop Murphy expressed his concern for the situation and pledged his support, the support of the diocese’s other parishes, and the support of Catholic Charities. Rockville Centre Auxiliary Bishop Robert J. Brennan is the former pastor at St. Mary of the Isle and has made regular visits to the Island Park and Long Beach parishes. Father Brian Barr, the diocese’s vocations director, was installed as St. Mary’s pastor two weeks before Sandy. Episodes of looting and people cutting lines at the gas stations that have occurred are not surprising, he said.